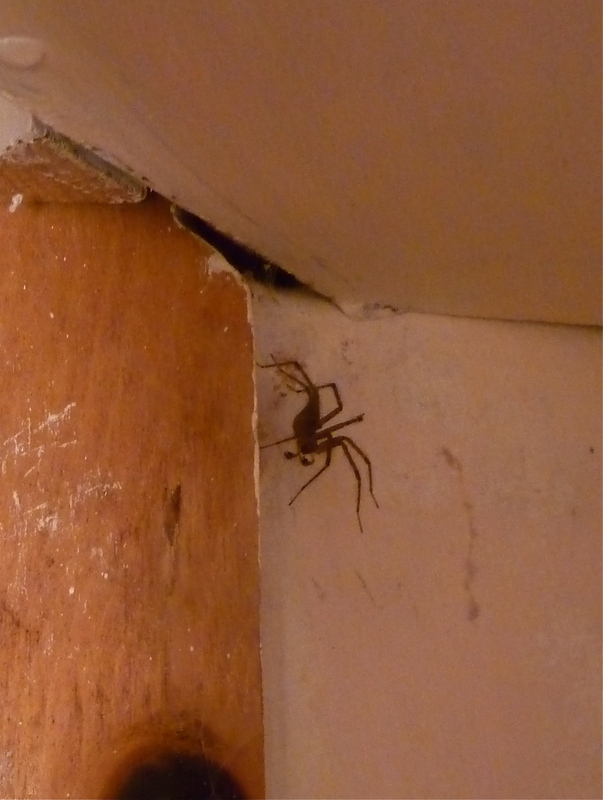 This fairly large spider has taken up residence in the corner of our kitty litter room. Jack pointed it out to me the other day so I wouldn’t disturb its web….I love that man. A couple of days ago, I decided to go for a run much later in the day than I usually go. It was really hot out, so after a mile, I turned around to head back, and noticed a small turtle that was just beginning to cross the road. I picked it up, gently carried it to the other side (in the direction that it was headed) and put it down in the grass. As I ran back home, it occurred to me that just possibly, this was the reason that I had “chosen” to run so late in the day, and maybe carrying that little turtle to safety was my “reason for being” that day. Nothing is random and nothing is unimportant. Every thought, every action, is a sacred, interconnected thing,… whether I choose to see life this way or not. But I do choose to see life this way, because when I do, it feels good and right, and when I forget this, and think that unhappy circumstances and events are happening “to me”, I don’t feel good; I feel small, disconnected, and alone, and I think that I am unimportant to the whole. What is my reason for being today? I’m not sure. Maybe I’ll never know. But I know this reason exists, for me, for you, for every being, seen and unseen. We are all a part of the magnificent pattern of Life. Mary, if we don’t think this way, we can’t account for the reason of our being in this world and where we are during this lifetime and the other people’s lives who impact on ours and we on theirs. We all live in a very small microcosm of this world. I’ve had a bad reaction this week which has laid me low thus, I’ve been watching television more and the news of the world makes me very sad. When I see the women and children in the Middle East who live in such politically stressful conditions I wonder that there but for a moment in fate, it could have been me living there instead of here. Agreed! You had a divine appointment with that turtle. Hi Mary- Driving to Ft. Edward this morning with my daughter, I had a similar conversation to points you’ve made in this Post. Co-incidence or God-incidence? the latter, I think! I try not to watch too much sad news because I can only be HERE where I am, affecting hopefully in a positive way, the ones I love and come in contact with. The sorrows of the world are heavy indeed and overwhelming and threaten to suffocate our spirits, but there is so much beauty too, and opportunities every day to make that one small difference, as Mary surely did for that lucky turtle. I wish I could share a picture I took last April as I left a horseback riding adventure (my first! with my grandson, his first too!) east of Phoenix. We were waiting at the stop sign about to merge onto the busy highway, when a great big ol’ cowboy looking sort of guy, got off of his motorcycle – at first I thought he needed something, something was wrong. But then he bent down and picked up a good sized turtle, and noticing us watching, he strolled our way. I rolled down the window and he said, “Hey young fellow” to my grandson, “I think I’d better help this one here make it to safe ground. 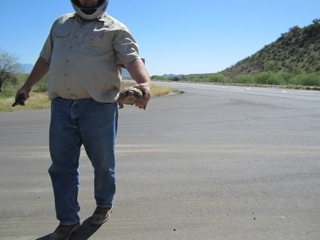 You have a nice day now.” I won’t forget that man, – a big guy taking time to get off of his motorcycle to help a turtle. A great example to a young boy, too, of what a ‘real’ man is all about. Oh Mary! Thanks for sharing the photo! Isn’t he a good dude everyone? This is going to sound really silly, but about a week ago I came across a Praying Mantis on the grounds of my condo. I was walking Pooch and the Mantis was walking across the walk from one set of lawn to another. Pooch bent to check it out and, being afraid that he might be rough on it, I pulled him away and kind of nudged the bug to where it was headed. By the time we returned from our walk, I saw no signs of the Mantis and felt glad that I had helped. Yesterday, I was headed out of my condo building and something in the huge, arched window over the front door caught my eye. It was the Mantis, and (s)he had gotten inside the building and was trying to find a way out. The window is level to the third floor and there is no way to reach it from there. If you have a tall ladder, you can get access. Well, I fretted and fretted and checked and checked on the Mantis and finally decided to speak with it and tell it my intentions to save it. I asked it to come down to a spot where I could easily reach it. It was looking at me with its funny head all cocked to one side….stared at me for some time. All of a sudden it flew down onto the floor, about three feet from where I was standing. I put my finger down, it crawled on, I opened the door and transported it to the lawn, under a bush. And off it went. This was a long way of telling you how great I felt, helping this creature out. But Mary’s post speaks volumes to what I experienced. A daily ‘reason for being,’ indeed! Make your day count. It’s a beautiful thing. i LOVE this story Suzanne!…it doesn’t sound at all silly to me, it actually makes me want to sing with joy! 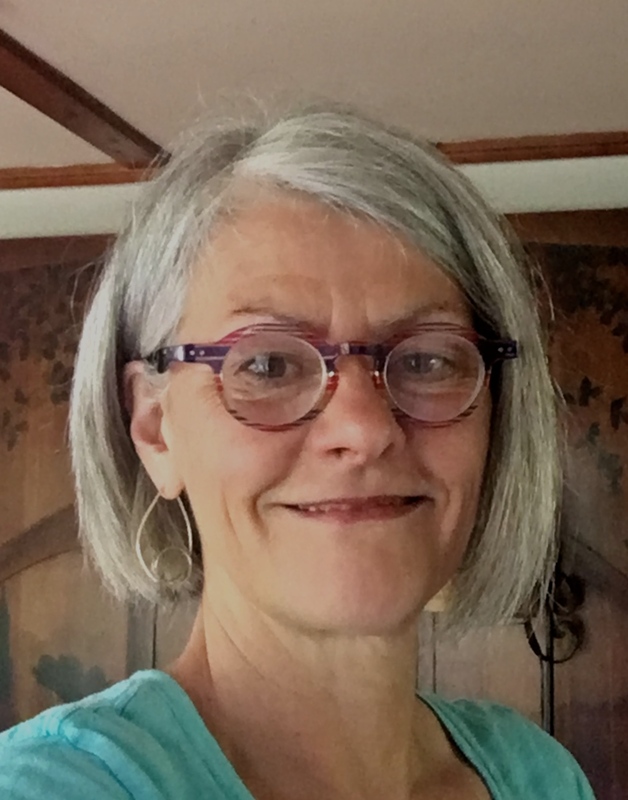 Suzanne, your story just gave me goose bumps reading it. I do believe there is a connection with things that happen. There is energy. I believe that, too, SandyP. Sometimes, though, it can be near to impossible to get into the ‘head space’ that promotes the connection. But when you do, it’s amazing and gratifying. Suzanne, my yoga teacher’s phrase (one of her most favorite’s!) is to be Open to Grace! and that is exactly what happened when you opened up your most perfect energy to what? a tiny bug? a little Mantis! Oh yes, that is an alignment! And every bit as powerful and important as any “late breaking news” on any News Alert Channel! Go Suzanne! I love that term, Susan…’Open to Grace.’ That is a keeper. And yes, for a brief moment that day I transcended the mundane. It was VERY powerful. It may never happen again, but it is forever mine.